What will be the impact of competition between banks and non-banks on the prices of loans and account services? What are the players’ incentives to innovate in the current regulatory context? In this series of three posts adapted from Mariotto and Verdier (2014) , we describe the impact of digital innovations on competition in the retail banking using industry insights from the industrial organization literature and provide food for further thoughts on this debated topic. Freixas and Rochet (2008) define a bank as an institution whose current operations consist in granting loans and receiving deposits from the public. To simplify, we considered that retail banks offer mainly two categories of services: those related to deposits – store monetary values, saving, withdrawal, payment, account information – and those related to loans – information and intermediation. Is it really easy for entrants to challenge banks? Let us start by analyzing firms’ entry costs on the retail banking market. As usual, barriers to entry can be classified into three categories: regulatory barriers, structural barriers and strategic barriers to entry. Banks perform a transformation activity, i.e., they transform deposits that can be withdrawn at any time into loans with a longer maturity and credit risk. This activity implies an exposure to several risks, including liquidity risk, interest rate risk, credit risk, operational risk and systemic risk. The presence of asymmetric information between banks and depositors and the negative externalities caused by the presence of systemic risk justify the current set of regulations that applies to banks. For example, regulators require banks to hold high franchise values and variable regulatory capital amounts correlated to their level of risk. The cost of complying with the existing regulations can be prohibitive for an entrant firm. Therefore, some regulators have designed new categories of licenses to facilitate entry. In Europe, a firm can offer payment services either by becoming a Payment Service Provider or an Electronic Money Institution (EMI). These firms comply with lower capital requirements than those required to banks, as long as they do not provide credit. But still, these requirements may in some cases block entry. For example, in Europe, the capital requirements for EMIs have been lowered because of insufficient entry. In some countries, other regulatory measures include ongoing capital requirements and restrictions on investment in risky assets are requested. For example, regulators often require holding liquid assets in a bank account when entrants issue electronic money. Some regulators are also currently considering implementing rules for the provision of loans by alternative financial services providers such as Peer-to-Peer Lending platforms or payday loans companies. For example, in April 2014, in the United Kingdom, the Financial Conduct Authority published a policy statement on its regulatory approach to firms operating online Crowdfunding platforms (prudential requirements, protections in case of firm failure, disclosure rules, dispute resolutions). The adaptation of existing regulations to non-bank entrants raises a trade-off between competition and risks for regulators, which is a standard issue in the literature on microeconomics of banking (see Carletti, 2008) . Other entry costs are related to economies of scale and scope between deposit and lending activities. Indeed, banks exploit the information collect on deposit accounts to evaluate their credit risk. Therefore, entrant firms that would like to offer either loans or deposit services (but not both) may be less efficient than banks. Other entry costs are generated by the presence of network effects (for branch networks and ATMs) and switching costs for consumers. According to Degryse and Ongena (2008) , switching costs refer either to the fixed technical cost of switching banks or to the existence of long-term relationships between banks and consumers, known in the literature as “relational banking”. Finally, a third technological barrier to entry is the presence of adverse selection on the loan market. As a matter of fact, because of asymmetric information, entrants are more likely to capture risky consumers that could not access banks in the first place, which raises the issue of profitability for entrant firms. Lastly, entrants may face strategic barriers to entry. How can banks deter entry? They can raise entrants’ costs by overinvesting in ATMs and networks capacities, by bundling products to offer lower prices, by increasing minimum quality standards, by investing in reputation, or even by denying access to facilities shared by a club, such as in the case of settlement services. But is it really a good strategy for banks to deter entry? It is not obvious that deterring entry increases banks’ profits with respect to entry accommodation. When there are large transaction volumes, incentivizing rivals’ entry can increase banks’ profits due to interconnection fees that entrants pay to banks and to the reduction of cost of cash caused by an increase in the use of electronic payment methods. 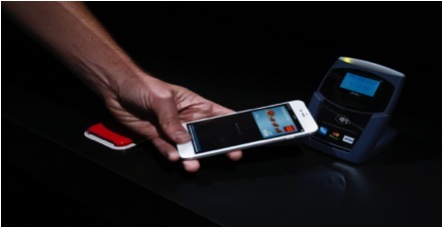 Most recently, banks agreed to share revenues from card transactions processed though Apple-Pay with Apple, which receives 0.15% fee for each transaction. Moreover, also overinvestment in ATMs may not represent a credible threat, since online banking has increased from 3.13 millions in 2011 to 5.74 in 2002 and nearly half of the European population regularly uses online banking. Finally, since incumbent banks cannot easily price discriminate between old and new customers, given the switching costs that characterize the industry, they may have the incentive to exploit old locked-in customers by choosing higher prices and gain few unattached new customers (See Begg and Klemperer, 1992) . In the second post of this series, we will investigate the strategies that have been used by entrants to offer financial services and compete with banks.